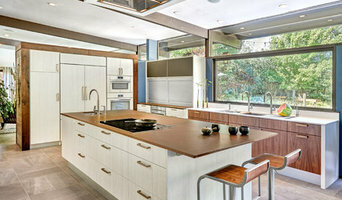 www.kerriekelly.com Northern California interior designer Kerrie Kelly founded Kerrie Kelly Design Lab in 1995. Kerrie is an award-winning interior designer, author, and multi-media consultant, helping national brands reach the interior design market. Kerrie is a Fellow and Board Member of ASID (American Society of Interior Designers), Member of NKBA (National Kitchen and Bath Association) and is a Certified Aging in Place Specialist (CAPS). She is an avid representative and speaker for Livable Design initiatives recently sharing the stage with Randy Fiser, ASID CEO at High Point Market. Kerrie has authored two books: Home Decor: A Sunset Design Guide with Sunset Books and My Interior Design Kit, with Pearson Professional and Career Education. Recently named as one of the Top 200 Design Influencers of 2017 in the Home Design Industry by fixr.com, Kerrie is a Subject Matter Expert (SME) for Home Depot and is the Interior Design National Spokesperson for Zillow Inc., writing monthly articles for their website, reaching Yahoo!, Forbes, and Wall Street Journal. She also writes a monthly column for Style Media Group. Kerrie served as a national Trendspotter for Cosentino, creating her Albedo countertop and continues to forecast and identify the latest in interior design worldwide. Her other product development relationships include launching a case goods brand called 42nd Street Design, an accessory collection with GO Home, a tabletop collection with Costa Nova, and a tile line with TileBar. Kerrie is partnering with top industry brands like Robern, Kohler, Brown Jordan, Coyote Outdoor Living, and Benjamin Moore to produce collaborative products, curate collections, and foster ambassador relationships. Kerrie launched her Feizy rug line and Zeev lighting line in 2017 and looks forward to continuing to add product to her current collections. In 2018, Stage Right Design, Inc. merchandised 173 Vacant Homes in the Northern California area. Of those 173 Vacant Homes, 95% SOLD and were off the market within the first 60 days! Owning all of our own inventory and occupying a 12,000 sq. ft. warehouse allows us to better serve our clients quick turn times needs, and enables us to do quick last minute stagings. As a stager, we have to know our target audience in order to style the home appropriately appealing to their taste. Staging is not decorating. It is Marketing. If you don't market something effectively you can't expect a high rate of return on your investment, or for that matter, a quick a sale. With Stage Right Design's unsurpassed customer service and highly qualified team we can stage 10 vacants a week. We have staged as many as three vacant homes in one day with great success. Our remarkable team and successful operations are a huge value add to our clients. We are here to partner with you and help you meet your goal. We are dedicated to creating well designed spaces and structures that respond functionally and elegantly to the challenges our clients present. Our project list is as diverse as our clients and each project is given equal respect and painstakingly detailed. We pride ourselves on our relationships with our clients and our ability to exceed their expectations, delivering beautiful structures and spaces on time and on budget. We have established relationships with contractors, fabricators, graphic designers and artisans to provide a truly custom experience in the built environment. We also design and manage the fabrication of site specific furniture and fixtures for many of our projects. We are a full service design firm, handling every aspect of the design process from as-builts, schematics, construction documents and administration including the procurement of goods. Most importantly, we believe in the idea that good design is a necessity, not a luxury. WHY CHOOSE US? No Pressure Guarantee! At The Closet Doctor, we believe our expert designs, quality products and excellent customer service combined with our great prices speak for themselves. We will never use high pressure sales tactics, call a manager to “See if we can get a better deal”, or offer you multiple outrageous discounts to get you to sign right now. Our Commitment: Locally owned and serving the Sacramento market continuously since 1998, we are committed to finding the best solution for your organization needs and budget and will do whatever it takes to make that happen. Customer Service Excellence! Our customers love us! Over 60% of our new customers are repeat clients or have been referred to us by our happy customers. We have even been referred by our competitors! Our goal is to provide you with an excellent customer experience. Everything we do is designed to save you time and make your life easier. 95% of our installations are completed; start to finish, in one day! Professional Team Members! All Closet Doctor designers are registered storage designers with The Association of Closet and Storage Professionals. All of our designers have a minimum of 5 years experience in closet and organization design. All of our installation team members are experienced professionals, with our lead installers having over 8 years installation experience. All of our installation team members sign and operate by our 15 point worker conduct compliance agreement. In addition to our team’s experience, each individual who will be entering your home for a design appointment or installation has passed a thorough background investigation . All of our team members are fully insured employees of The Closet Doctor, not sub contractors. Lifetime Guarantee! Every Closet Doctor closet, garage, wall bed, home office system, pantry, or entertainment center is covered by a lifetime warranty. We provide custom award-winning landscape design and architecture featuring a problem solving approach. We design unique and functional outdoor environments including hard scape elements (outdoor kitchens, outdoor dining space, water features), plantings, and lighting. Landmark Builders is your premier custom home builder and renovation specialist in the greater Sacramento area. Let us turn your home into an award winning Landmark. We provide exceptional service and deliver a superior product to each homeowner. Custom Homes - Whole House Renovations - Additions, Kitchens, Outdoor Living. Trusted since 1997 As an established builder in our community we are committed to our clients’ projects and we believe we play a significant role in successfully delivering their construction needs. We further believe that the concept of the “perfect client journey…through a positive life experience” should guide the development and management of our organizational and operational structure. A+ Construction Pro. Design. Build. Remodel. A+ Construction Pro is a Design and Build Firm specializing in General Home Improvement, providing a full range of services anywhere from small design projects to full kitchen and house remodeling. We have extensive experience in home renovations and construction. Our hardworking team and commitment to deliver outstanding quality of work continually shines through every project we complete. We invite you to visit our website and see examples of our work. There, you will also find more about our company, helpful tips on home remodeling and be able to request a free estimate for any project. 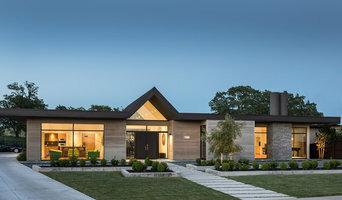 MAK Design + Build Inc.
MAK is an award winning residential remodeling, design-build company. Simply put, we are on a mission to make places that express the character and vitality of the individuals who live there. Linking design and construction saves you time and money, ensuring good communication and clear accountability. Kitchens $80,000 to $220,000; Master Suites $60,000 - $100,000; Bath $40,000 to $80,000; Additions $60,000 to $400,000. Whole House Remodel $250,0000 to $1,000,000; Additional Dwelling Unit $150,000 – $400,000. Estimates based on experience. Your actual costs may vary depending on the scope of your project. Our skilled designers and craftspeople listen to you. The work speaks for itself. MAK Design & Build is growing and looking to add talent to our team. Interested? <a rel="nofollow" target="_blank" href="http://makdesignbuild.com/careers/opportunities/">http://makdesignbuild.com/careers/opportunities/</a> Contact us for a consultation about your project. 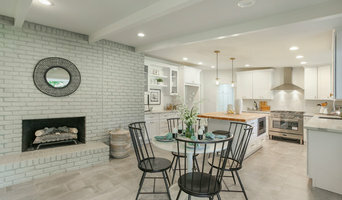 Best HOUZZ Service 2018 Winner Staging with a twist!! We're America's largest, most experienced provider of home staging services. We specialize in working with homeowners and Realtors to transform houses into life-filled, inviting homes that have powerful appeal to buyers. Staging is vital to getting top dollar quickly for your property....It is an opportunity for the buyer to see the home at its very best and for the buyer to understand and visualize where their furnishings can go. 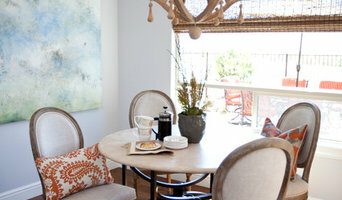 Staging allows buyers to buy into the lifestyle of the home. Staging helps create the feeling that buyers are searching for in their next home! Reach out to multiple professionals — especially for larger projects — and don't settle for the first bid you hear. Comparing multiple Sacramento, CA professionals' bids and experiences can help you find the one that’s best for you. Ask a lot of questions now, so you won't have unexpected answers later. Find a home design professional: Narrow down your search by type of professional and location. Browse Sacramento, CA portfolio photos, read client reviews and contact each Sacramento, CA professional for more information. Check out the information in the specialised professional sections too for tips on how to hire the right professional in Sacramento for your project.